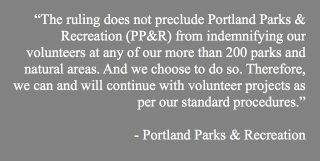 As you might have already heard, Portland Parks & Recreation is facing a budget gap of $6.3 million. To right the ship, the bureau has proposed eliminating over 50 full-time employees, reducing admin costs, closing community centers, and more. One element of the Parks budget we’re watching closely is how operations and maintenance dollars will be allocated. Or whether they’ll be allocated at all. View from Oaks Bottom path where it meets with the Springwater. Photo is from 2015 right after wands and striping were installed. Nguyen was coming from the left on the other side of this tunnel. We regret to inform you about another situation where someone suffered serious injuries at a location with a known history for posing hazards to bicycle riders. On January 29th just before noon, Hien Nguyen was biking northbound on the Springwater Corridor path. As he rolled downhill toward the intersection where another path intersects with the Springwater (about 1.8 miles south of the path entrance at SE Ivon Street, below the Oaks Bottom Wildlife Refuge trailhead parking lot), Nguyen says a woman on a skateboard “appeared out of nowhere directly toward my path.” Nguyen didn’t hit the woman, but he ran over her skateboard, flew over the handlebars and landed head first on the pavement. 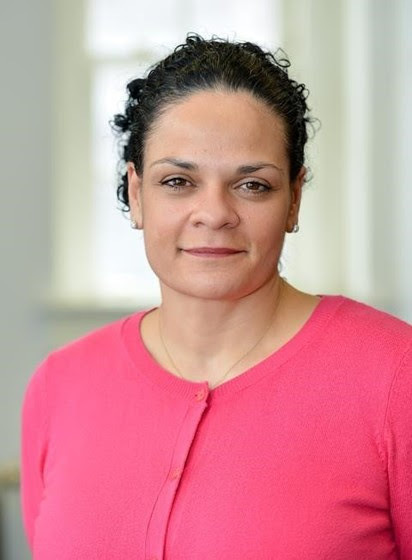 Portland Parks Commissioner Nick Fish has just announced Adena Long as new director of Portland Parks & Recreation. Long replaces Mike Abbaté who resigned the position back in May. A native New Yorker, Adena began her NYC Parks career as a seasonal Urban Park Ranger in 1997. She steadily moved up the ranks, and in 2010 became the first woman, and youngest-ever, to serve as Parks Borough Commissioner for Staten Island. In 2018, she was recognized as manager of the year for New York City Parks. Adena has served as Deputy Commissioner for Urban Park Service and Public Programs since 2016. According to the NYC Parks website, Long is a native New Yorker who received her Bachelors degree from the School of Agriculture and Natural Resources at the University of Connecticut and earned a Master of Science in Non-Profit Management from the Milano School of Management and Urban Policy at The New School. 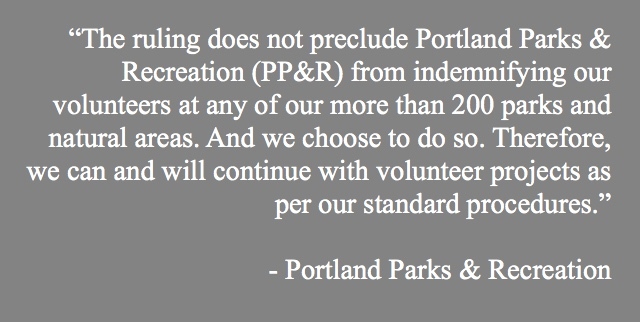 The Director of Parks is an important position for advocates and all Portlanders who enjoy cycling. Parks manages places like Riverview Natural Area and Forest Park where off-road cycling access has been a hot-button issue. Also consider places like Gateway Green where Parks has put cycling front and center. 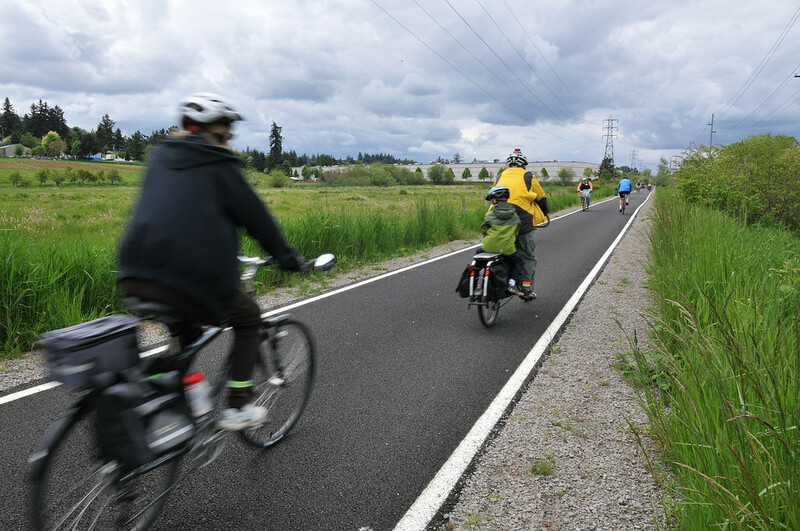 Other areas where cycling intersects with the Parks bureau is on paths inside and adjacent to Parks-owned facilities like the Eastbank Esplanade, Waterfront Park, SW Terwiliger Blvd, the Springwater Corridor, and many others. Long’s first day on the job will be February 19th. We look forward to getting to know more about Long and working with her to improve cycling in and around Portland parks. Welcome to the west coast Mrs. Long! Portland City Code prohibits e-bike use on paths like the Springwater. Last summer we stumbled upon an inconvenient truth about electric bike use in Oregon State Parks. It turned out that despite their popularity, it was illegal to operate e-bikes on State Park paths and trails. Thankfully, the Oregon Parks and Recreation Department (OPRD) acknowledged the outdated rules and the State Parks Commission recently approved new ones that explicitly permit e-bike use on their facilities. The mighty Eastbank Esplanade is showing its age and needs a maintenance funding boost. The Portland Parks & Recreation bureau is bracing for budget cuts that could have a significant impact to marquee paths citywide. There are two line items in the budget advocates are focusing on: One of them would slash funding for path maintenance; the other would offer a much-needed boost for the beloved Eastbank Esplanade. Fence at Nevada Street entrance to Willamette Park before and after it was cut down by a vandal. 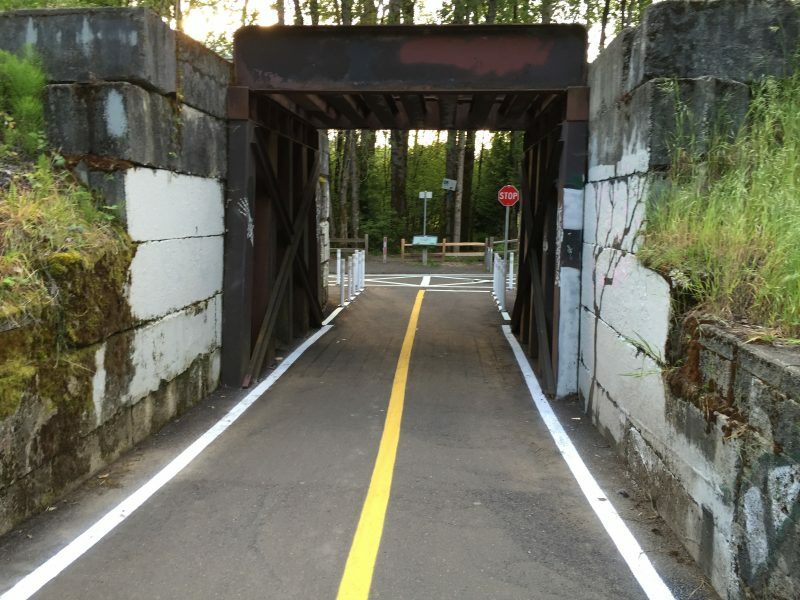 The Nevada Street entrance to Willamette Park was abruptly closed last week. 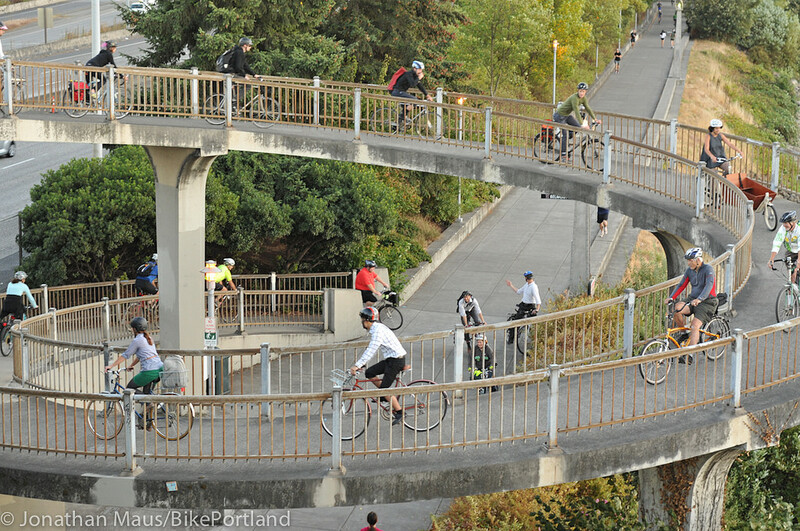 This path is listed as a recommended bikeway and featured in popular maps produced by both the City of Portland and Metro. 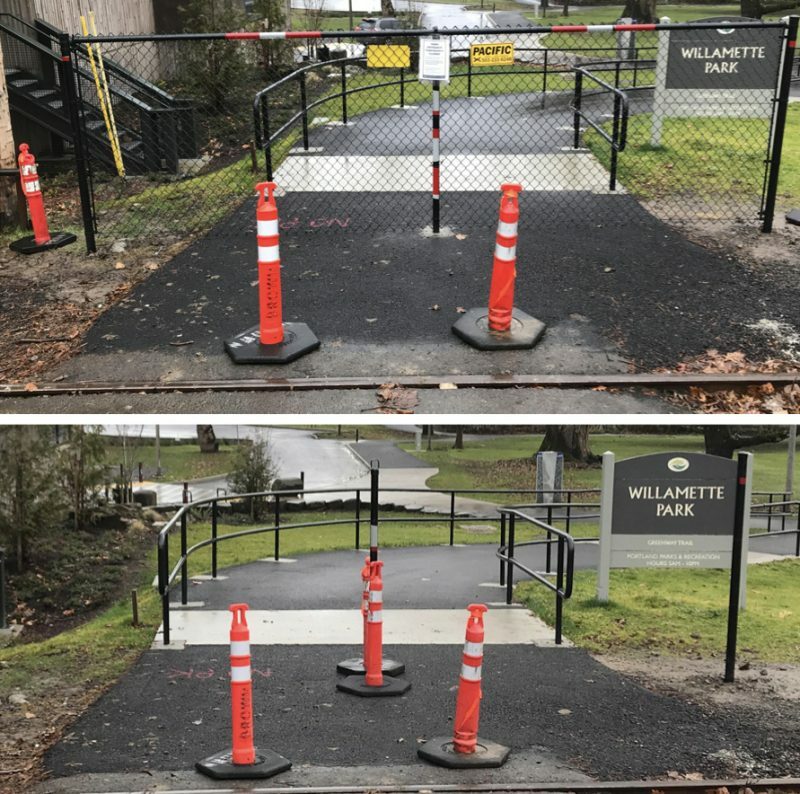 The decision by the Portland Parks & Recreation bureau to erect a black, chain-link fence was made without any public warning and it stems from a multi-year jurisidictional negotiation between the Oregon Department of Transportation and the City of Portland that spans more than three years. The Oregon Department of Transportation Portland Parks & Recreation Bureau (PP&R) has erected a fence across an entrance into Willamette Park. Jeff Mapes, an employee of nearby Oregon Public Broadcasting, encountered a crew putting the finishing touches on the fence this morning. “Very annoying,” he shared in a tweet this morning. Latest design drawing for changes to Mt. Tabor Yard (I added pink at location of new bike path). Mt. Tabor Park is a gem of southeast Portland. But if you live south of the park you’re all but shutout from easy access. Now the parks bureau is zeroing in on a design for a new public access point from SE Division Street at 64th that will include a bike path. 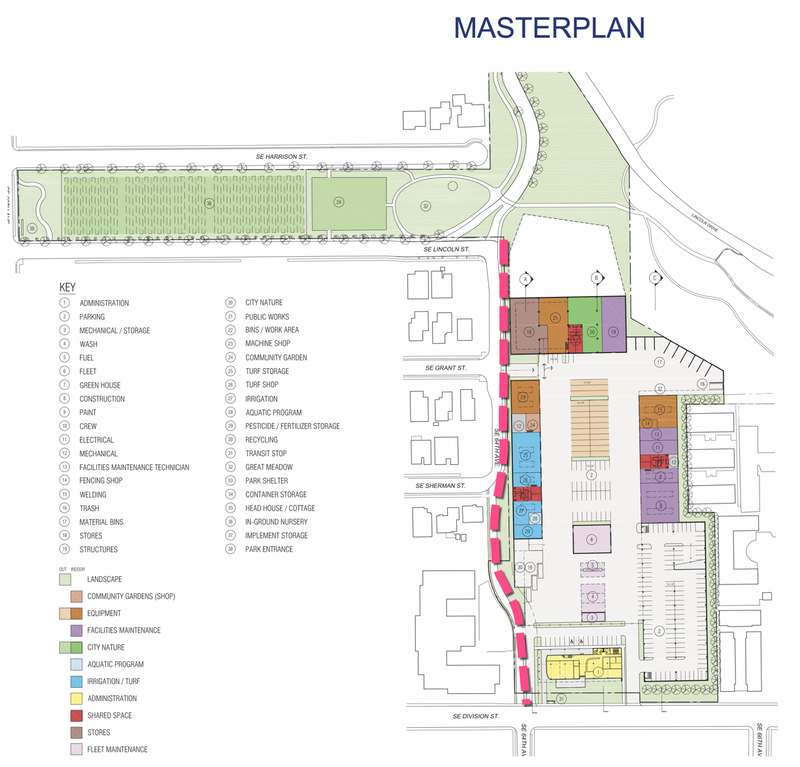 Finally the South Tabor neighborhood will have convenient access to its namesake park. Turns out the forthcoming bike park at Gateway Green won’t be “crippled” by a court decision after all. 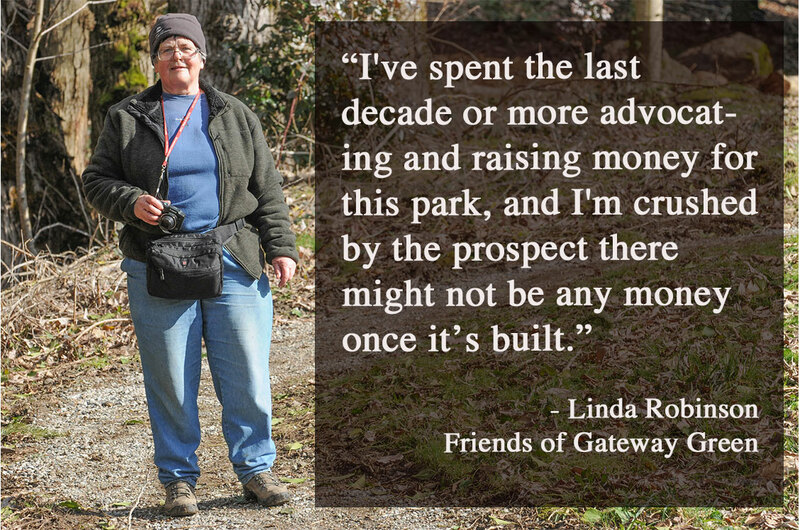 After the Willamette Week published a scary story yesterday about a legal loophole in Oregon law that allows people to sue city employees and volunteers for injuries sustained on City-owned properties, we’ve been trying to learn more about potential impacts to not just Gateway Green but the over 200 other Parks-owned properties around Portland. If other cities have closed recreational facilities due to this loophole, what would happen in Portland? Volunteers are the backbone of many parks and public lands where we ride bikes, and losing them — or losing access completely because of liability concerns — would be a major setback. Our initial inquiries with the City of Portland and other sources to clarify these impacts didn’t get very far. The Parks Bureau seemed to be caught off-guard by the Willamette Week story and no one else would comment due to it being a sensitive legal issue (if only I had a nickel for every time I heard “Sorry, I can’t discuss legal matters”). The City’s Office of Government Relations would only refer us to the pending legislation that will close the loophole and that we outlined in our story yesterday. But what if those bills don’t pass? How will Parks’ and other public lands in Portland and throughout the state be impacted by the 2016 Oregon Supreme Court Ruling that found the legal concept of “recreational immunity” does not extend to city employees? Should volunteers or city employees who work on parks facilities — like the upcoming Gateway Green — be open to liability lawsuits? NOTE: Please read our important update to this story posted on Thursday 2/9 at 5:00 pm. I didn’t know much about Oregon’s “recreational immunity” law when I woke up this morning. 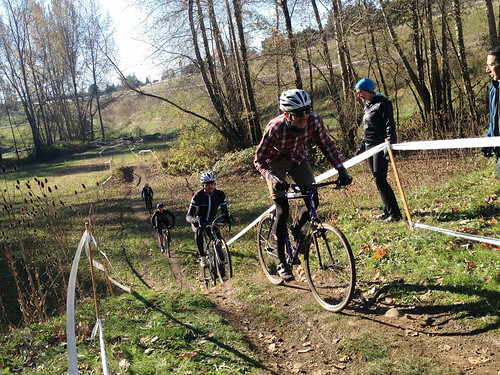 But since reading, “Portland’s First Mountain-Bike Park Could Be Crippled by a Court Decision” in the Willamette Week I’ve given myself a crash-course. And so should you. That article lays out the case that a 2016 Oregon Supreme Court decision throws access to public parks (and all public lands more broadly) into question due to potential legal liability for landowners. In a nutshell, that decision found that employees and volunteers of landowners are not covered by the same legal immunity as the owners of the land (as laid out in Oregon’s 1971 Public Use of Lands Act). For more on the ruling and the existing law, check out this article.